Athamani Khadki - formed Sundardas Rangadas. Vachali Khadki - Tadjandas Surdas. 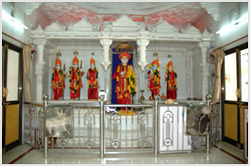 Kaduchini Khadki - Kaduchi Nathji Tadshidas. Kakani Khadki - Ratandas Surdas. Solamagjini Khadki - Solidas Bhavandas. The Patidars of Dharmaj have very thorough knowledge of agriculture. Even while the maximum crop was extracted, the land had remained fertile. Tobacco is the main crop of the town. Nicotine was processed from tobacco by Urvakunji Nicotine Industries in Dharmaj. The town is not only agricultural, but industrial too. The Patidars of Dharmaj took on a leading role in the Independence Movement. They provided shelter to the freedom fighters. A young man named Ramanbhai Purshottambhai was shot during firing at ADAS. 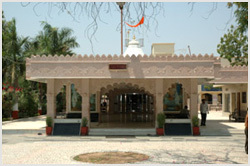 The town had a dedicated social worker, Chimanbhai Kishorbhai Patel, who was elected surpunch for number of years. Shri Hirabhai Muljibhai Patel was a special pride to Dharmaj. Shri H.M. Patel, an I.C.S. officer was appointed as the Finance Secretary of the Indian republic. He was the finance, Home and Deputy Prime Minister during the Janta Rule. He was also awarded the world famous Albert Sweitzer Medal for his work on the preservation of the Natural Wealth and Wildlife Foundation. He was appointed as the President of the Indian Board for Wildlife. Dharmaj the village of Anand district and Petlad Taluka situated on Borsad-Tarapur National Highway no 8/A. Dharmaj has become well known for various reasons. 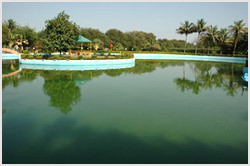 With a population of only 11, 000 this small village has all the facilities which even a city can not boast of. The infrastructure consists of pure drinking water, under ground drainage system and tar roads. Whereas the lanes are stone laid. The smallest and remotest by lanes are well provided with proper street lights. The population of Dharmaj consists of mainly patidars. The rest of the population is a mix of Baniyas, Brahmins, Suthar, Valand, Garasiya, Vanakar, Harijan, Rohit etc. The above mentioned infrastructure and facilities are made available to all irrespective of caste and creed. Dharmaj is one of the most progressive village of the Chh Gaam Patidar Samaj. Falling on the Nadiad-Bhadaran Railway line, it had very busy rail traffic in the past but now the state transport Buses and Private Vehicles are in vogue. Like other villages of Charotar region people of Dharmaj immigrated to foreign lands for earning their livelihoods. Many families have settled in different parts of India which has out numbered those families living in Dharmaj. For example 1400 families in Great Britain, 700 in America, 148 in Africa and more than 600 families in different parts of India. Though having settled abroad for years however love for Dharmaj is still very much intact in the hearts of all these Dharmajians that’s the reason for their regular visit back home. 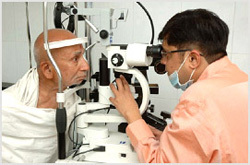 They donate regularly to the various causes after understanding the need of hour. The local Dharmajians also respond equally well by managing those funds with lots of integrity and transparency. Apart from the basic infrastructure the other facilities in Dharmaj are also of excellent calibre. There are English as well as Gujarati medium schools of which the English Medium School is in the form of a residential complex. 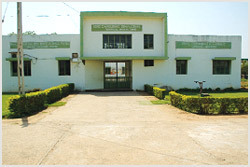 Since the time of Gaekwad Rule there are very good library and a Gymnasium (Vyayamshala). 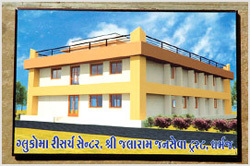 Whereas medical facilities are concerned apart from the government Hospital there are various Hospitals operating under the auspices of Shree Jalaram Jan Seva Trust. Among which Sharda Maternity Hospital was started with the help and support of Dharmaj Society of London, Urmila Polio & Orthopaedic Hospital, Puspdeep Children’s Hospital with Neo Natal care facilities, Zaverba Dental Hospital etc. All these Hospitals are run on the super specialty levels. The source of all physical ailments is one’s own mind. So the mind is the one which requires the right treatment. 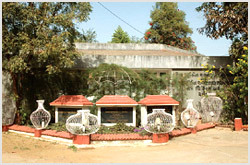 Dharmaj also has such a facility in the form of Vipasssansa Dhyan Kendra (Meditation Centre). This is a favourite centre for meditators from Mumbai to Palanpur and Kuch. With the help of State Government an Integrated Education Programme for the Physically Challenged Children is also operated in Dharmaj from 1999. Waste Land of Dharmaj was developed years ago in 1972-73 in such a way that green fodder be grown and made available at the door step of the cattle farmers at a very reasonable rate round the year. A recreation facility developed in this same waste land by the name Surajba Park has a Swimming Pool, Water Ride, Children Park, Four Beautiful Cottages for overnight stays etc. A very big plot of land has also been developed for marriage ceremonies and other social gatherings. There are more than 15000 trees grown in this huge waste land which is spread over total 142 Acres of land. Honourable Chief Minister of Gujarat Shri Narendra Modi has recognized this whole project of developing the waste land and has named it “Dharmaj Pattern Gauchar Sudharana Yojana” State government has planned to implement this programme in other villages of Gujarat. By this way other villages will also make a very fruitful use of waste land of their respective village panchayat. Higher education facilities have now been developed in such a small village in the form of colleges operating the degree and diploma courses in Pharmacy & B.Ed. There is a plan to start Engineering Stream in near future. 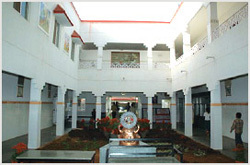 Beautiful Old Age Home facilities have developed for the senior citizens. A lot of work has accomplished in this village by Public Partnership Method. New donors are turning up and enabling to open up new vistas of developments. Though Dharmaj is a small village, the development has been total. It is not our purpose to just bring awareness of the development process among the people of Dharmaj and the coming generation but it is an effort to make all Dharmajians realise that this is about our Dharmaj and we all are a part of this on going process of development. It is also our aim to appreciate the role played by people who helped in the development process and to inspire other villages to follow this path for the betterment of society. Other villages can also emulate Dharmaj’s efforts and progress as there is no dearth of committed people in every village. The need is to recognise such talents and initiate them in this process of development by creating an atmosphere of mutual trust. Once this is done, the rest of the things fall in place and the journey of progress moves on smoothly.